“Andy Stewart will be well known to many as one of the Senior Spatial Information officers at Department of Natural Resources. 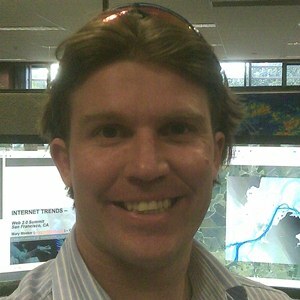 He has played a key role in a number of high profile projects involving both remote sensing and web-mapping applications. His current role sees him leading the existing client mapping services within Queensland government towards a Web 2.0 approach. He has played a key role in responding to the natural disasters that have occurred across Queensland over the past couple of years, most recently the flooding that occurred in Bundaberg. This devastating event enabled the valuable lessons learned after 2011 with Cyclone Yasi to be put into action to enable rapid response to the needs of those needing accurate flood maps that were both quickly generated but also importantly, accurate. Andy will pass on some of the lessons learned and that were put into action. Previous PostGeoRabble Brisbane #3 – forget the rumours!Next PostGeoRabble Sydney #6 – Call for Speakers!